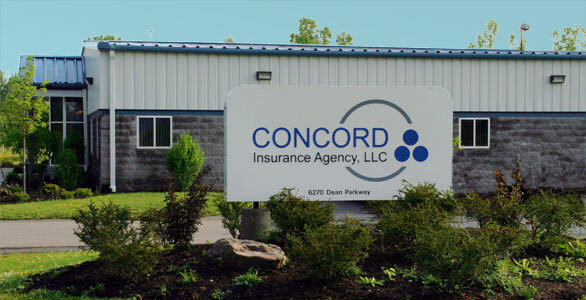 Concord Insurance Agency, LLC combines the insurance expertise of these agencies to better serve our clients. We represent over 100 years of expertise in the insurance industry. Ask any of our clients why we have a 95% retention rate. They will tell you it's our commitment to service and building a lasting and satisfying relationship. March 8th ..here in the Western NY area a massive windstorm caused downed power lines, houses damage by flying debris, loss of power for days to weeks for thousands of homes ..and massive trees uprooted. Sadly, the last notation affected us...a tree almost 9 stories high was uprooted and landed on our property causing extensive damage. In less than a month after submitting our claim, we received the check to pay the tree removal service and to have the contractors work on the repairs. Great job to Security Mutual,.... their agent that handles our account....Glanton & Associates....and Geneva Claims Adjusters....all working together to resolve our issues. I have been a customer for over 20 years and this was their shining moment!!! Evaluate insurance costs before you buy your vehicle: The year, make and model can have an impact on your rate. New cars are more expensive to insure than older cars. Foreign cars are more expensive to insure than domestic. Highly rated and higher valued vehicles raise your rate too! Don't listen to the car salesperson who tells you a newer car is less expensive because it's safer. Those safety feature increase the value of the car and also increase the probability of a total loss when involved in an accident! Raise your deductibles: Increase your deductible as high as you can afford. You don't want to put in small claims anymore and raising your deductibles can save you money! Remove collision coverage on older cars: Auto insurance pays based on the value of the car at the time of the accident. If you have an older car with a value of $2,000 that is the most an insurance company is going to pay you less your deductible. If the repair costs exceed the value of the vehicle the insurance company will not pay the additional cost. See if you qualify for low mileage discounts: If you are driving your vehicle less than usual check in to see if a credit may be available. Check all credits for student drivers: You may qualify for an away at school, good student and/or defensive driving discounts! Pay your premiums in full: Some policies offer discounts if you pay your insurance in full! Place all of your insuances with the same company: Multi-policy discounts can add up and save you money by placing all of your insurances with the same company.